Naming the baby the choice of a name for the new model was difficult; Hundreds of possibilities, including recycled ones, were considered and examined. For a long time, the favorite was lasalle, but the older model name lost out to seville, which had been used previously on a cadillac eldorado coupe of the late fifties. sales success though the new seville was smaller than the traditional cadillac, it was considerably more expensive. Launched on may 1, 1975, it was an instant success, outselling mercedes in the american market at the end of the first year. A major transformation took place in 1980 when the seville gained a monocoque body and front-wheel drive (as well as a diesel option, which didnt prove popular). 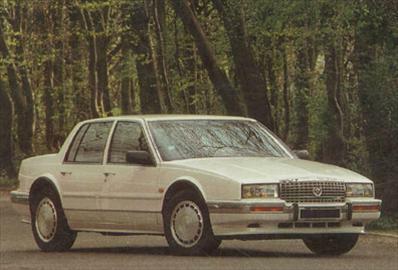 By the eighties, the seville shared the platform and major components of the four-door version of the eldorado line. Tide seville was cadillacs first compact car. But the rest of the line has been downsized as well.